Today is Earth’s birthday. He is now forty years old or, as my daughter puts it, officially an ‘old man’. I would have liked to have a big party for him, but we couldn’t afford it and anyway, there aren’t really that many people to invite since we haven’t made any close friends here in Rocky and have no room to put out-of-towners. We did have a nice birthday dinner for him, though. In our family, you get to choose what we eat for dinner on your birthday and Earth chose Satay Chicken – a big favourite, so everybody was pleased. This was meant to be followed up with brownies (which Earth wanted instead of cake) but they didn’t work out, so we had ice-cream instead. Being a big occasion, we splurged on some grog – Bailey’s for me, Cointreau and Musket (Arrogant Frog) for Earth. After Earth opened his presents we relaxed to some Christmas Carols and a glass of grog. But I’m jumping ahead of myself. While we eat dinner, we normally watch a movie. Since it is his birthday, Earth got to choose which one. 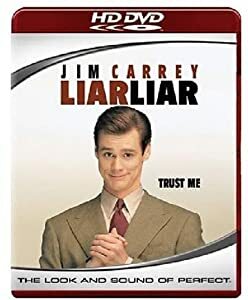 He chose Liar Liar – a hilarious Jim Carrey movie which I have seen several times (and still laugh at) but the kids hadn’t seen it yet. After dinner and the movie, it was present time. Earth had a good haul this year. Season 1 of Rozen Maiden and a plastic ball and chain from me; the board game Razoo from Butterfly; a lap table and a candle from Annie; a set of white wine glasses and a mini diary from Yasmine; a set of red wine glasses and a hammer from Storm; thongs and a mini grater from the whole family. After presents we had desert, the little ones went to bed and that’s when we were able to relax with the Christmas Carols. All in all, it was a good night and I can’t wait for the next celebration!